To everybody that was there and to all of you for your contributions in making the day an overwhelming experience. We had over 250 people there and it was a gas. I want to thank so many people, that this is going to take a while, so bear with me. First there is Kathie Loss Marynik '67 and George Rogers '67. I think you all know, by now, the fantastic work that they did on this. On bended knee, I am not worthy. Ardis Duensing Riley '66, Your narration of the Veterans stories was breathtaking and I will be forever grateful. I could not have envisioned anything more beautiful than that. John Nathans '66, I just had a feeling that your name came to me from above. I never heard you sing before yesterday and was overjoyed by your music. Man, you have got some set of pipes. Thank you. Kerry Shearer '72, Thank you for an outstanding job as MC. The entire program moved smoothly and fluidly. You are a real pro. Mindy Russell, Thank you for a beautiful benediction. From your words to God's ears, thanks again. To our Guest Speakers, Superintendent Enoch, Colonel Jones and Lt. General Goodman. Gentlemen, This is just a quick note to say thanks for your inspiring words. We could not have asked for a more distinguished panel of speakers. I will be in contact with you, each, in future correspondence. Myrtle Berry, Heddy Crowder, Lucy Thomas, David Levis, Stephanie Woo, and every one else at Encina, Your support was essential and we could not have had such a wonderful day without you. Please pass along my thanks to Rocky and his crew, they were great. An let's not forget the help of the Student Government kids, David Lopez and the others ( I'm sorry but I didn't get all of their names) Thanks guys and girls. To CSM McDuff and Sgt. First McDuff and all of your men and women in the Honor Guard, Your execution looked flawless and your support was exemplary. You have some fine solders in your Command. Thank you for setting the proper tone for our ceremony. I will also be in touch with you in the near future. Master Gunnery Sgt Ron Turner, Thank you for everything. Being there at o-dark-thirty in the morning was absolutely "above and beyond" I hope that you will consider me a friend and even though I am not a Marine, SEMPER FI. Harlan Lau '73, I know you said that it was all the committee doings, but without your continued work as the Webmaster for the alumni, none of this would be possible. Thanks always. Mary Lou McNeil, Your ideas and suggestions were superb and I hope that you feel that, "we did them proud". Please keep up the good work for all of our Vietnam Veterans. And now for the most important thank you. I want to thank all of you, all of the alumni, all of the friends, all of the families and everyone else that took time out of their day to be there yesterday. I am at a loss of words to express my gratitude. 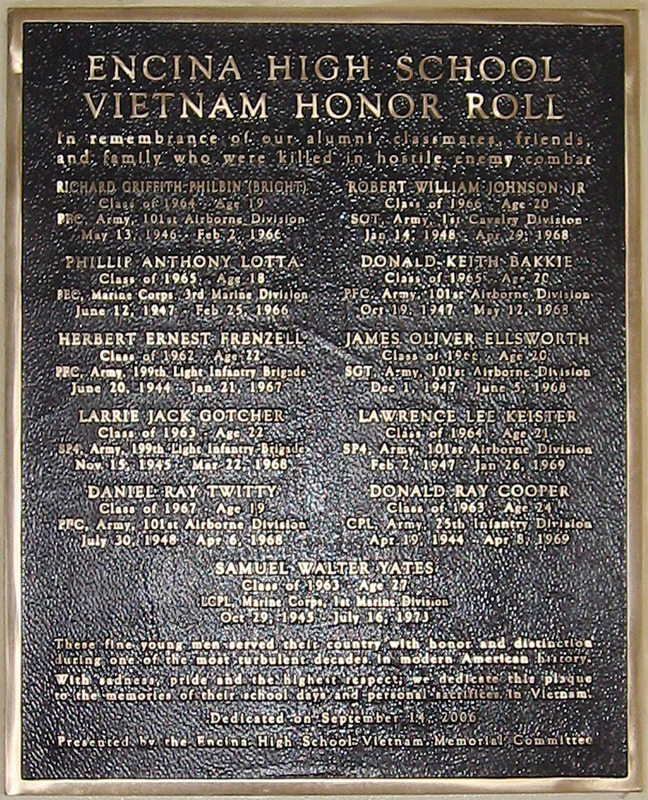 Today, September 14th, 2006, there will be a dedication ceremony for a plaque honoring 11 former students of Encina High School, who were killed in the Vietnam War. The dedication will take place in the school’s cafeteria at 2:30pm. Scheduled to speak will be Superintendent of Schools Steven Enoch, San Juan Unified School District, Colonel Keith Jones, Commander, 49th Joint Combat Support Command, California National Guard and Lt. General John Goodman, Commander, Marine Forces Pacific, United States Marine Corps. 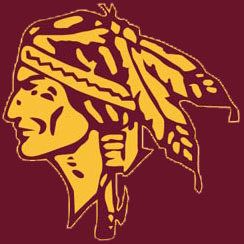 Lt. General Goodman graduated from Encina in 1963. Alumni, family and friends of the honorees are coming to Sacramento from all over the country to be here for this event. 1- Kathie Kloss of Encina was the Project Researcher. 2- Gordon Smith '67 of Rio and Rita Locke a computer graphics design artist did the plaque's design work. 3- George Rogers '67 through Tennessee Cast Metals & Equestrian Forge produced the plaque. 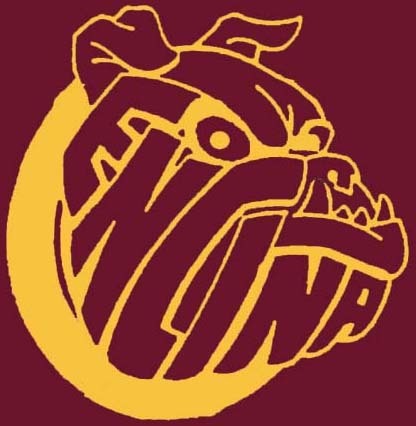 4- Don Bright '75 of Encina is the chairman and also the projects accountant and ceremonies coordinator. Donald Keith Bakkie, the second oldest of five children of Mr. and Mrs. Oscar Bakkie, was born October 19, 1947 in South Dakota. He was the brother of Kenneth, Terry, David, and Pamela. Don attended Encina High School in Sacramento, California, graduating in 1966. Don was an Infantryman (Parachutist) in the US Army, serving with A Troop, 2nd Squadron, 17th Calvary, 101st Airborne Division (Screaming Eagles). He was deployed to Vietnam in April 1968. In less than a month, on May 12, 1968 in Thua Thien, Private First Class Bakkie was killed by small arms fire at age 20. He was one of three lost that day. Requiem mass was held at St. Philomenes Church, followed by burial at Mount Calvary Cemetery in Sacramento. Corporal - E4 - Army - 25th Infantry Div. Donald Ray Cooper, the only son of World War II POW Austin Cooper and his wife Doris Wells, was born April 19, 1944 in Gilroy, California. He had a younger sister, Debra. Don was about 9 years old when his family moved to Sacramento. He attended Encina High School for only his senior year, graduating in 1963. He had attended American River College for two years when he entered the US Army. At the time, he was divorced and the father of a 2-year-old son. Don was deployed to Vietnam in March 1969 and served with C Company, 2nd Battalion, 12th Infantry, 25th Infantry Division. In less than a month, on April 8, 1969 in Hua Nghia, Private First Class Cooper was killed by a booby trap while on combat patrol at age 24. He was one of three lost that day. He was posthumously promoted to Corporal. Burial was at Mount Vernon Cemetery in Sacramento. James Oliver Ellsworth, the only son of Horace Ellsworth and his wife Ruth Lucas, was born December 1, 1947 in Sacramento County, California. He had an older sister, Mary Jane. Jim grew up in Sacramento and attended Encina High School for four years, graduating in 1966. He had been active in Block E, Varsity Gymnastics, and Varsity Cross Country. Jim was an infantryman (parachutist) in the US Army and was stationed at Fort Campbell, Kentucky, before deployment to Vietnam in October 1967. He served with A Company, 1st Battalion, 327th Infantry, 101st Airborne Division (Screaming Eagles). At age 20, on June 5, 1968 in Quang Tri, Corporal Ellsworth was killed by small arms fire. He was posthumously promoted to Sergeant. Burial was at Golden Gate National Cemetery (Section X, Site 2024) in San Bruno. Herbert Ernest Frenzell, the only child of Army Colonel Ernest H. Frenzell and his wife Chilant Costa, was born June 20, 1944 in Modesto, California. Due to his father’s connections all over the world, Herb became an avid foreign stamp and coin collector from the time he was a child. He attended Encina High School in Sacramento for three years before transferring to nearby La Sierra High School where he graduated in 1962. Herb was attending American River College when a good friend told him that he planned to enlist. Herb decided to go with him, and they enlisted in the US Army together. Herb was deployed to Vietnam in November 1966. He served with the 2nd Platoon, A Company, 4th Battalion (Redcatchers), 12th Infantry, 199th Light Infantry Brigade. At age 22, on January 21, 1967 in Binh Thuy, Private First Class Frenzell was killed by small arms fire. He had been part of a patrol that was ambushed by well-entrenched Viet Cong forces. Even though he had been in a relatively safe position in a tree line, he chose to expose his position by opening fire on the enemy in order to draw fire away from his fellow soldiers who were pinned down. His unselfish act allowed the other soldiers to get to cover. As Herb then attempted to rejoin his squad, he was fatally shot in the chest. Specialist Billy Jones dragged and carried his friend’s body through swamp and jungle for two hours. Once an open field was reached where helicopters could land and evacuate the remaining squad and Herb’s body, Jones was also shot and killed by enemy fire while trying to rescue another fallen comrade. Both Herb and Jones were awarded the Silver Star for their heroism, and their base camp in Vietnam was named Camp Frenzell-Jones in their honor. A memorial service for Herb was held at the McClellan Air Force Base Chapel, and burial was at Arlington National Cemetery in Washington, DC. Mrs. Frenzell has said of her son, "Herb would have given his life for his friends anywhere. It could have been while he was swimming or water-skiing. He was not the kind of person who would stand by and watch something tragic happen to others. It just so happened that he was in combat when he was called to help his friends." Larrie "Larry" Jack Gotcher, the only son of Robert H. Gotcher and Louise Schoolcraft, was born November 15, 1945 in Alameda County, California. Larrie’s parents divorced when he was young, and he lived with his father. Larrie attended elementary school in the cities of Lincoln and Roseville, Placer County. He attended Encina High School, Sacramento, his freshman year and was a 1963 graduate from Taft Union High School in Taft, CA. Larrie attended Taft Junior College in Kern County where he was voted most valuable player on the 1964 football team. He later attended Sacramento State College. In 1967 he was drafted into the US Army and deployed to the Republic of Vietnam in November of that year. He was an Infantry Indirect Fire Crewman assigned with A Company, 4th Battalion, 12th Infantry Regiment, 199th Light Infantry Brigade. On March 22, 1968 near the Dong Nai River in Bien Hoa Province, his platoon spent the day conducting a hard jungle sweep. Larrie was walking point squad as the Radio Telephone Operator when several Viet Cong were spotted near a VC base camp. The platoon searched for the enemy, with Larrie and two other soldiers from his squad taking the lead. There was a huge explosion, later determined to be a 50-pound land mine and a US artillery dud rigged in a tree. Specialist 4th Class Gotcher, age 22, died instantly from a large chest wound. Two others in the platoon also were killed in action that day. Ironically, in Larrie’s pocket was a letter he had been writing to his mother, part of which said not to worry; he was perfectly safe, desk-bound in a clerk job. Burial with full military honors was at the Veterans Court of Honor, Mount Vernon Memorial Park, Fair Oaks..
Robert William Johnson, Jr., the son of Robert and Ida Johnson, was born January 14, 1948 in Reno, Nevada. He had a younger brother Phillip Johnson and a half-brother Richard Major. Rob attended Encina High School in Sacramento, California, for only his senior year, graduating in 1966. He had been active in football, basketball, student board, and the car club. He was especially proud of his blue and white convertible that he and his fiancée would wash almost daily. Rob was attending Sacramento City College when he entered the US Army. He was deployed to Vietnam in April 1967 and served as a Light-Wheel Vehicle Mechanic with B Troop, 1st Squadron, 9th Cavalry, 1st Cavalry Division. At age 20, on April 29, 1968 in Quang Tri, Sergeant Johnson was killed by small arms fire. According to a letter sent to his fiancée from Rob’s commanding officer, he had been working that day as a spotter in a Huey helicopter flying over suspected enemy groups. If the enemy was spotted, Rob would drop chalk bags as markers for the bombers that would follow. Enemy groups were spotted and Rob got the job done; however, in the process, he was shot in the thigh. A major artery was hit and even though Rob was immediately flown to MedEvac, too much blood had been lost to save him. Burial was sixteen days later at the East Lawn Southgate Cemetery in Sacramento. Lawrence Lee Keister, the middle son of World War II veteran Robert Keister and his wife Betty Gilbranson, was born February 2, 1947 in Sacramento, California. He had a sister Kathleen, an older brother Robert Jr., and a younger brother Michael. Larry attended Encina High School his sophomore through senior years, graduating in 1964. He had attended American River College and the University of California at Davis as a pre-veterinary student. He also enjoyed building up and racing cars as well as working on boats. During his junior year at UC Davis, Larry took a semester off to earn money for school expenses and was immediately drafted. In September 1968, he was deployed to Vietnam where he served with B Company, 3rd Battalion, 506th Infantry (Currahees), 101st Airborne Division (Screaming Eagles). At age 21, on January 26, 1969 in Binh Thuan, Specialist 4th Class Keister was killed by a booby trap, suffering massive shrapnel wounds to the chest and arm. His body arrived home on what would have been his 22nd birthday. Requiem Mass was held at St. Rose Catholic Church in Sacramento, and burial was at Sierra Hills Memorial Park in Sacramento with full military honors. Phillip Anthony Lotta, the older of two sons of Italian immigrant Antonio Lotta and his wife Nina Christiansen, was born June 12, 1947 in Sacramento County, California. He had a younger brother, Michael. Phil attended El Camino High School his freshman year, La Sierra High School his sophomore year, and Encina High School his junior and senior years. He left school the month before his 1965 graduation to enlist in the US Marine Corps. Phil was deployed to the South Pacific in November and to Vietnam in January where he served as a Rifleman with Company G, 2nd Battalion, 9th Marines, 3rd Marine Division. 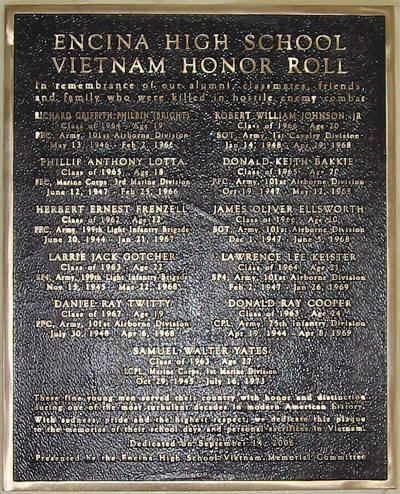 At age 18, on February 25, 1966 near Da Nang, Private First Class Lotta was killed by “friendly fire.” He and a buddy had been guarding a bridge during night patrol. When noises were heard coming from the other side of the river, Phil crossed the bridge to assess how many Viet Cong were there and what equipment they were moving. On his way back, his buddy mistook him for the enemy and shot him in the chest, killing him instantly. Realizing his horrible mistake, the buddy carried Phil’s body many miles back to his platoon. (It is said that this young man eventually suffered a nervous breakdown and was discharged from the service.) Phil was buried at Mount Vernon Cemetery in Citrus Heights. I appreciate your little tribute page for PFC Lotta. I am the Marine who replaced him. Though I never met him, he's been with me for all these years because of the circumstances I walked into the day he died. I've always been curious about him and it's really gratifying to see a photo at last. I know that he was very popular among the troops. Many of the Marines of 2/9 had been together in California and Okinawa and were very close. The earliest days of their deployment had been relatively uneventful, so when heavier casualties came in 1966, they took it hard. My generation of Marines were rushed through training and were somewhat suspect in the eyes of the original command. The poor fellow who shot PFC Lotta fell in that category. I believe I only saw this Marine twice and my recollection is of a big, terrified boy. He was rushed away from the command for his own good and the word that came back to us was that he was in a deep psycholgical crisis. Even so, he returned in about a month. He was treated as a pariah and I felt very sorry for him. The last time I saw him, he and another Marine were running from a bad ambush. One of them went down wounded and I believe it was the same lad. I remember his last name and wish there was a way to find out about him. The story you tell of Lotta's death is a little different than the one I recall and may be the result of misinterpreted words of Mr. Sutton (our platoon commander) in a letter to his parents. I never knew the details for sure though as it was made clear to me that I should keep my mouth shut and not ask questions. I, after all, was another new guy, and maybe not to be trusted. I had just turned nineteen. I did conclude after awhile though that it was not possible to fix the blame for the accident. Maybe half of the men thought Lotta may have made a mistake. Even so, they indulged an anger against the shooter because they were so hurt by Lotta's loss. It took a week for them to shake the gloom which was very dangerous since we were engaged with the enemy every day. For the next several weeks, we had casualties nearly every day. My first meeting with Lieutenant Sutton was strange. He was off walking alone with just a pistol and was obviously deep in thought. As I approached him, I saw that he'd had some sort of emotional release, a plenty unnerving thing to see in your commander! I've always wondered since if he was mentally composing a letter to explain this terrible accident. Richard Griffith Philbin (Bright), Was born May 13, 1946, in Los Angeles California, to John Philbin and Jane Hawkins. He came to L. Vern and Leona Bright’s family after his parents died, when he was 5 years old, joining brothers Ronald, Laurie, and Dennis. A younger brother Donald and sister Ramona, completed the family. He attended Winterstein Elementary and Arden Middle School before coming to Encina. He was on the track team and excelled at football, making the All City Football team in his senior year. 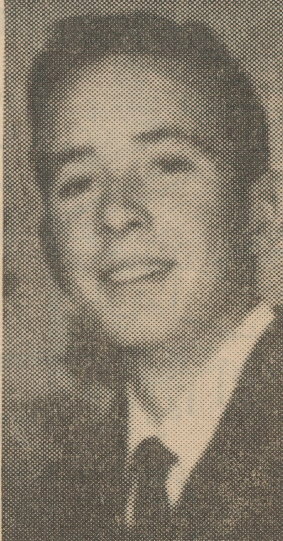 After graduating in1964, he postponed accepting a football scholarship to Alan Hancock College in Santa Barbara until the completion his military service. He enlisted in the Army in June 1964. After Boot camp at Fort Ord in Monterey and jump school at Fort Benning Georgia, he attended Radio Operator schools at Fort Jackson KY and Fort Gordon GA. He was deployed to Vietnam July 8, 1965. On February 2, 1966, while serving as an Armor Intelligence Specialist with Troop A, 2nd Squadron, 17th Calvary, 101st Airborne Division, PFC Philbin was on patrol near Tui Hoa when he was killed by a sniper’s bullet, at the age of 19. Daniel Ray Twitty, the third of four children of Mr. and Mrs. Jesse Twitty, was born July 30, 1948. He had one older brother, Michael, and two sisters, Patricia and Connie. Dan attended Rio Americano High School his freshman year and Encina High School his last three years of high school. He was known as a fighter who was fiercely loyal to his friends and classmates. He was also a motorcycle enthusiast. Leaving school before his 1967 graduation, Dan volunteered for the draft in March of that year. His basic training was at Fort Polk, Louisiana. While stationed at Fort Campbell on the Kentucky-Tennessee border, he was known for going to town for a new tattoo every payday. After completing paratrooper training, his father’s World War II paratrooper wings were pinned on Dan during the graduation ceremonies. He was airlifted to Vietnam in December 1967, serving as an Infantryman (Parachutist) in the US Army with Company A, Second Battalion, 501st Infantry, 101st Airborne Division (Screaming Eagles). At age 19, on April 6, 1968 in Quang Tri, Private First Class Twitty was killed by sniper fire, the last day of the Communist siege there. He was one of eleven lost that day. Burial was at Golden Gate National Cemetery (Section S, Site 1212) in San Bruno. In honor of Dan’s memory, a niece born the following year was named Dani as well as a nephew named Daniel born in 1971. Samuel Walter Yates, the older of two sons of William Yates and his wife Eva Walter, was born October 29, 1945 in Sacramento, California. Sam attended Greer Grammar School, Jonas Salk Junior High School, and Encina High School, from which he graduated in 1963. In April 1968, Sam was recruited into the US Marine Corps with basic training in San Diego and rifle training in Camp Pendleton, California. In October 1968, he was deployed to Vietnam and assigned to Company L, 3rd Battalion, 5th Marine Regiment, 1st Marine Division as a Rifleman. He participated in Operation Maui Peak, Operation Henderson Hill, and Operation Mead River, all in Quang Nam Province. In December 1968, Lance Corporal Yates was seriously wounded in the back of the head and right shoulder by shrapnel from a mortar round in Quang Nam when Lima Company came under heavy sniper, mortar, and automatic weapons fire. Three men were killed in that attack. Sam was sent stateside where he was hospitalized at several veterans hospitals until placed on the permanent disability retirement list in June 1969. Four years later at age 27, Sam died from pneumonia related to his war injuries at the Arden Memorial Convalescent Hospital in Sacramento on July 16, 1973. He had been awarded the Purple Heart at the time of his injury. Burial was at East Lawn Memorial Park Cemetery at the Yates family plot. He joined his father (who had died in an automobile accident when Sam was 13) and his brother Elmo who had died of an overdose three years prior to Sam’s death. Wounded in Quang Nam, South Vietnam in December 68, the shrapnel hitting him in the back of the head and the right shoulder. He was hospitalized at several veterans hospitals until placed on the permanent disability retirement list in June '69. He was awarded the Purple Heart. He died 4 years later in Sacramento from complications of his terrible wounds.